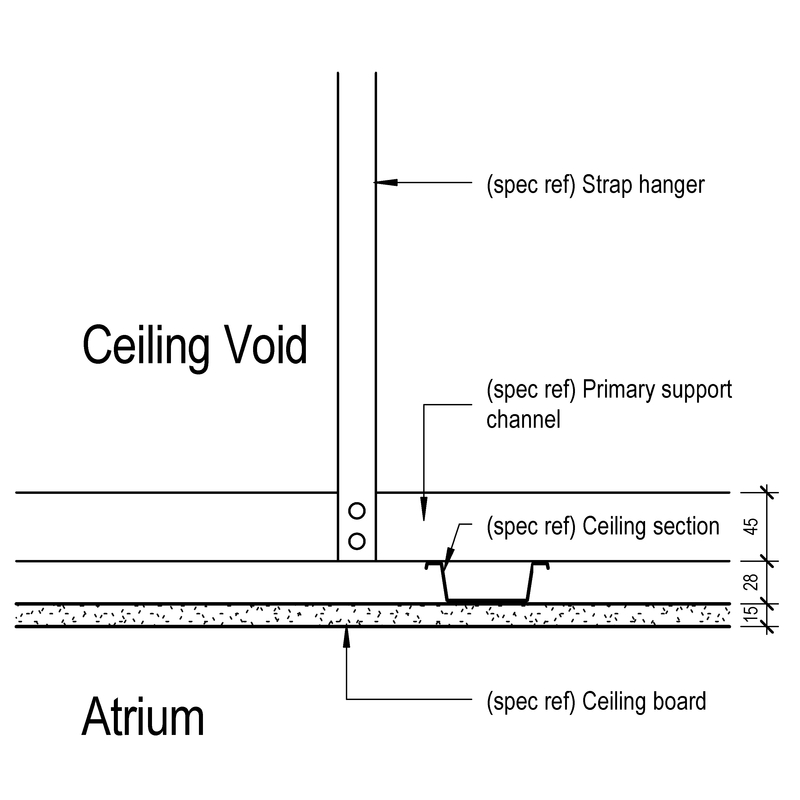 A soffit lining and beam casing system typically comprises of items such as support, support fasteners and insulation. 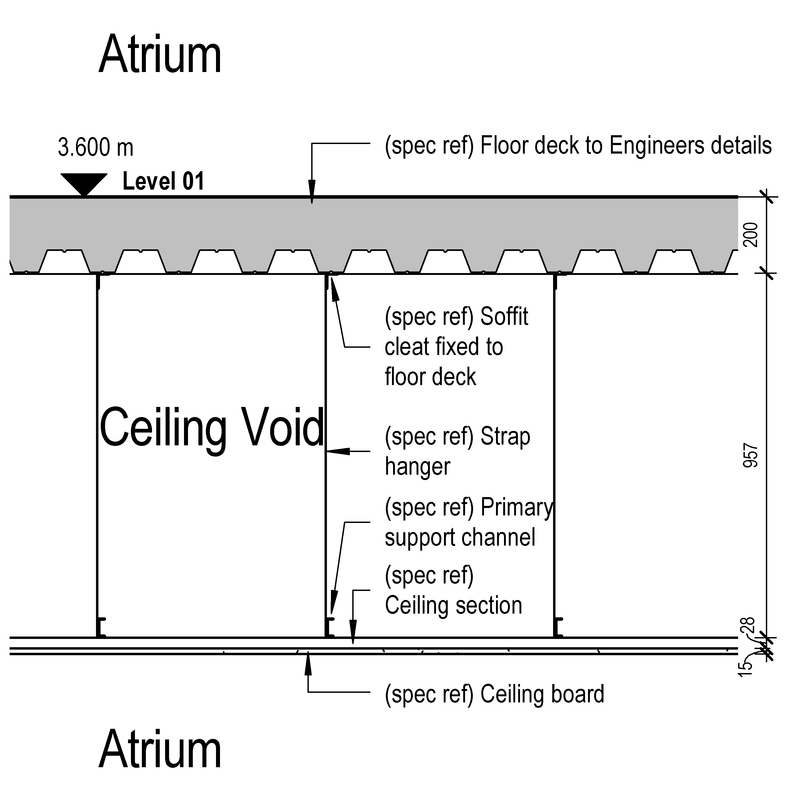 Complete this electronic spreadsheet to ensure that your Soffit lining and beam casing systems product information meets the requirements of Level 2 BIM. This is important as it will enable your customers to select, specify and use your products within the BIM environment. Once you have completed this template you can host it on your own website or distribute it to your customers. Please note that we do not host completed product data templates within the BIM Toolkit. 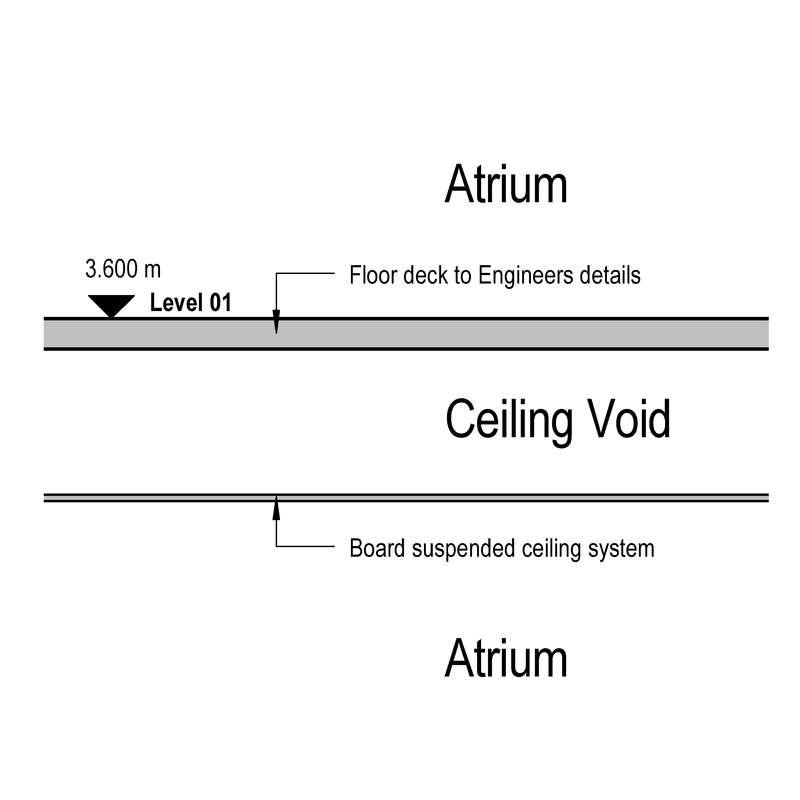 The above illustrations are for Board suspended ceiling systems from the NBS section Non-demountable suspended ceiling and soffit lining systems. This is indicative of the LOD requirements for Soffit lining and beam casing systems. 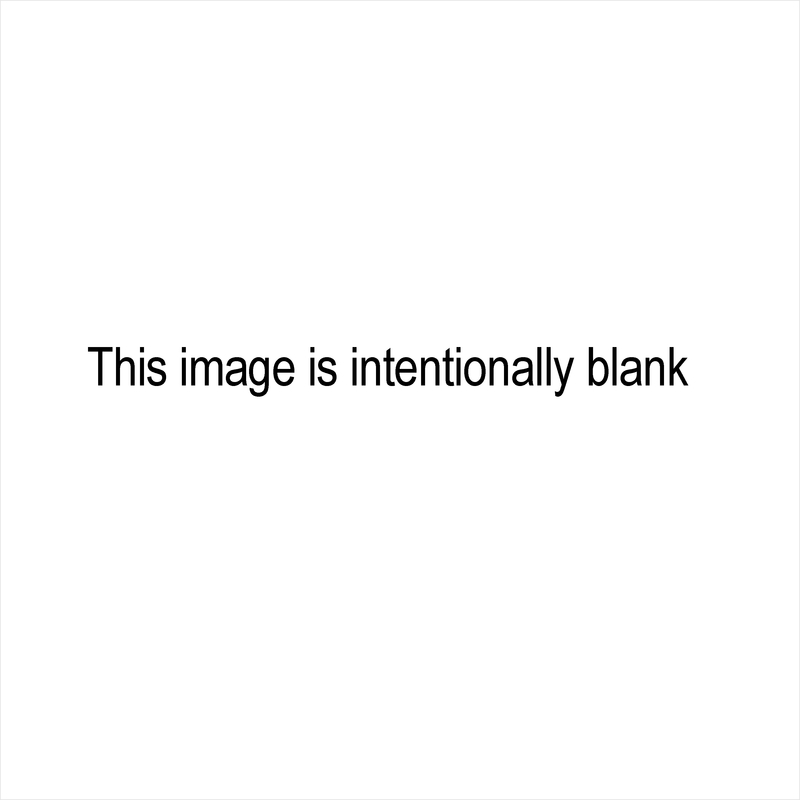 To provide a visual representation of proposals, confirming brief for technical Design stage supporting full spatial coordination and package procurement as appropriate. Structural performance Standard, Loads and Deflection of grid between points of support (maximum). Durability Standard and Exposure classification. Health, hygiene and environment Standard, Risk of contamination and Formaldehyde release class. Acoustic performance Sound attenuation, Sound absorption and Other acoustic requirements. 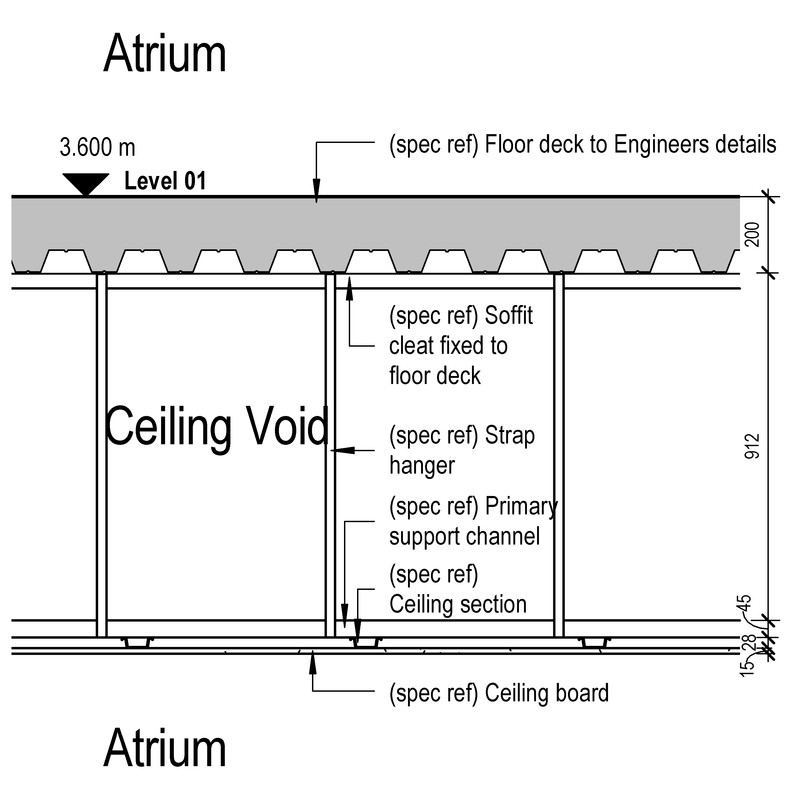 Airtightness performance Requirement, Ceiling voids and Ceiling finish or soffit. Compliance with performance requirements Purpose, General requirements and Ceilings with integrated luminaires. 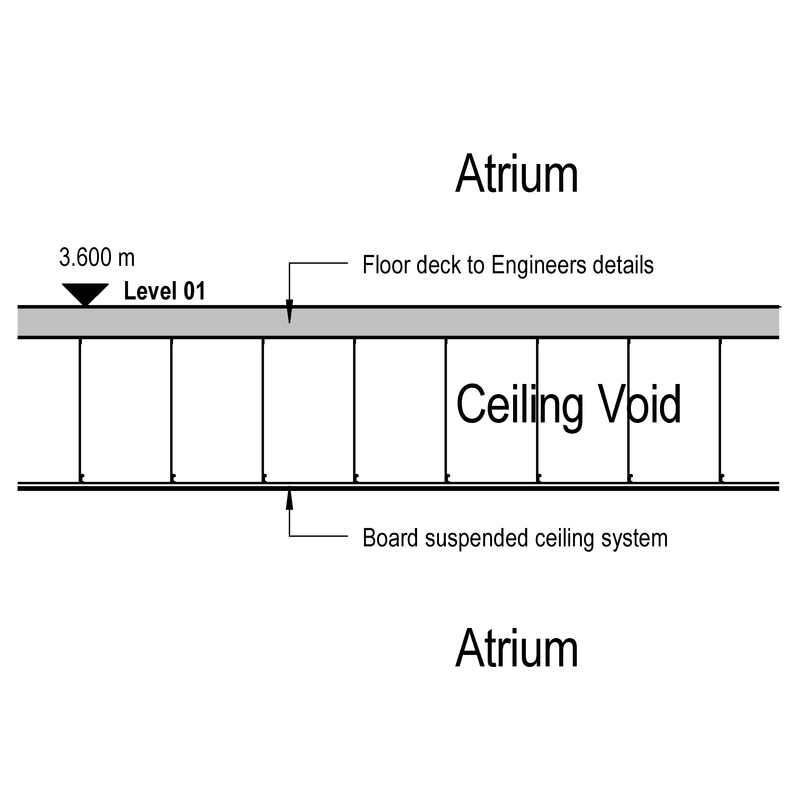 System manufacturer The System manufacturer of the Soffit lining and beam casing systems. Support - Suspension grid Products such as Resilient bars. 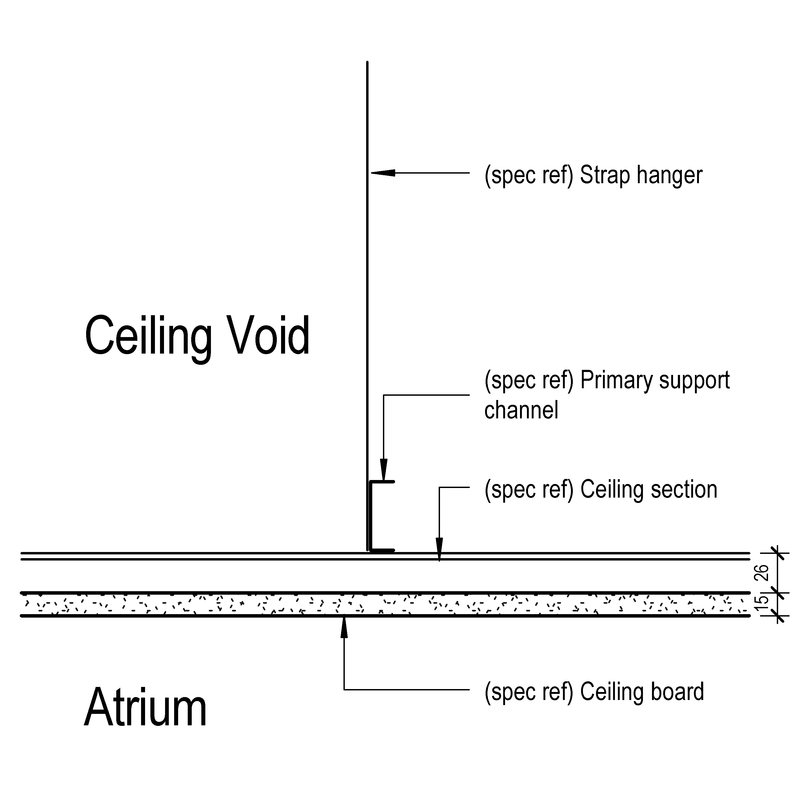 Support - Framing Products such as Carbon steel dry lining frames. Support fasteners Products such as Expansion anchors. Insulation Products such as Hemp fibre insulation. Barriers in voids - Fire barriers Products such as Coated woven glass fibre cloth flexible cavity barriers. Barriers in voids - Acoustic barriers Products such as Mineral wool wire reinforced mattress cavity barriers. Barriers in voids - Plenum barriers Products such as Mineral wool slab insulation. Linings - Inner layers Products such as Compressed mineral wool fire protection boards. Linings - Face layer Products such as Compressed mineral wool fire protection boards. Fasteners Products such as Aluminium nails.